The foundation contains Hyaluronic acid which plumps any fine lines you may have. It also contains Salicylic acid which improves skin clarity and texture over time and the peptides contained within also help to smooth skin. 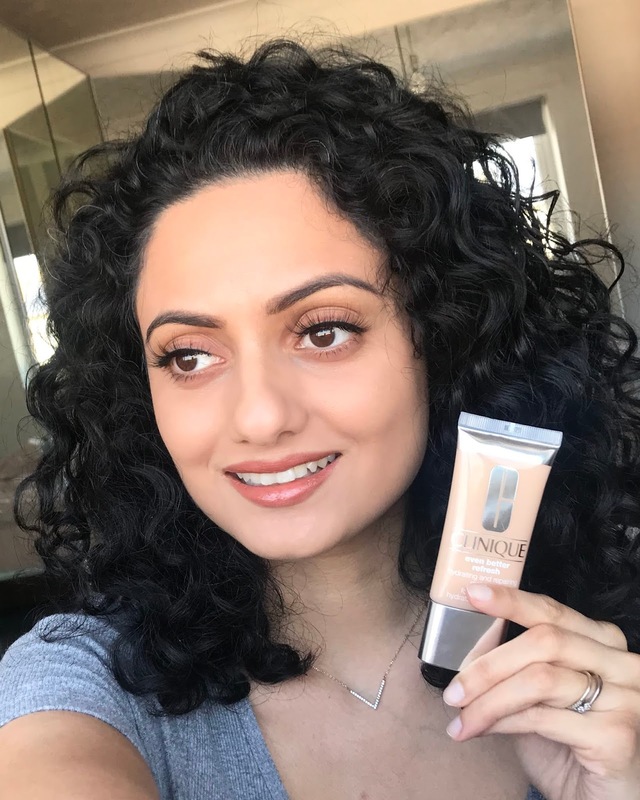 I think for me this is one of the main selling points of this foundation, that it contains so much good skin care that I am not worried about the after effects. It is actually enhancing your skin the more you wear it. And I have seen the benefits of this as my natural skin has been feeling and looking so much better after a rough patch a few months ago. Another bonus is it contains no nasties, no parabens, phthalates or fragrance. So you don't have to worry about it clogging your pores or leaving your skin congested. Once applied you are given immediate results which is beautifully hydrated skin that glows from within. The foundation also works over time to repair the skin so it's a win win. My skin looks plump and has more vibrance to it without looking like I have a lot of makeup on. The finish is quite dewy however not so much that you get oily throughout the day. 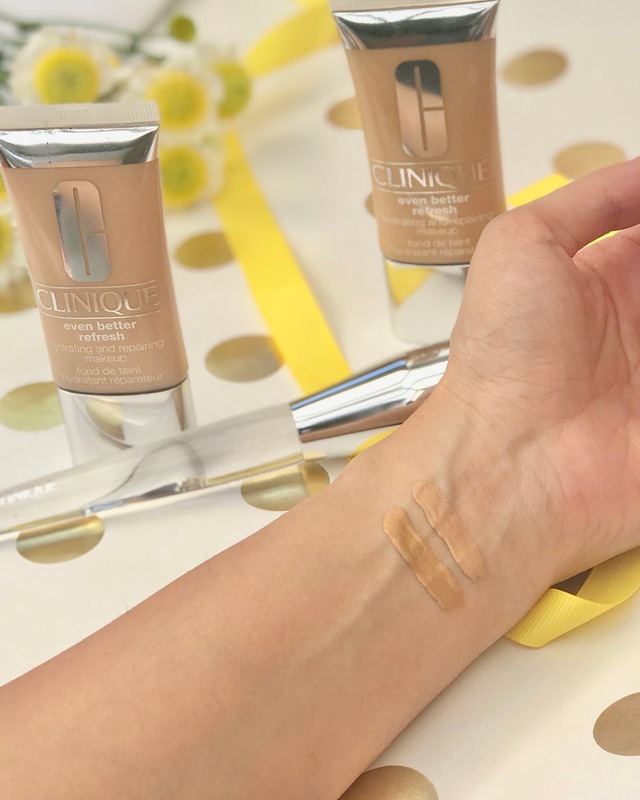 The formula is just right for all skin types. 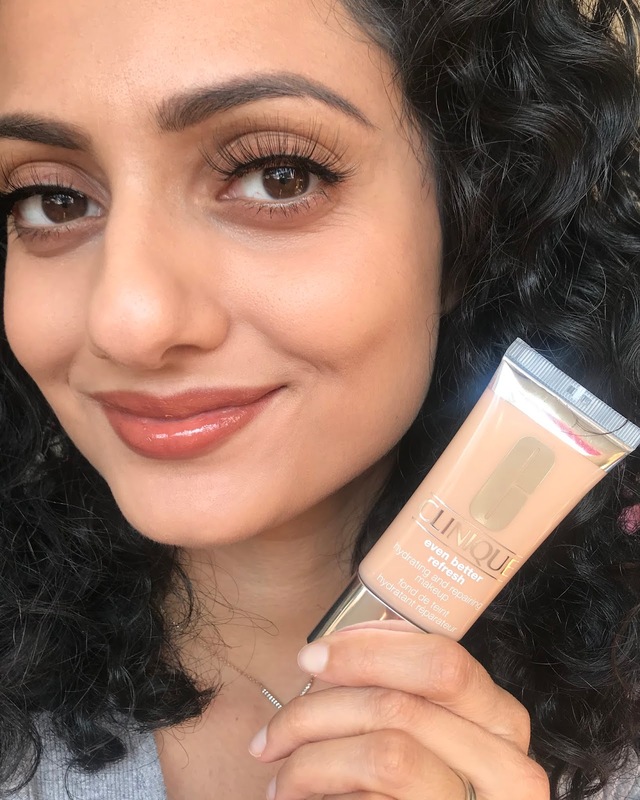 You may have seen me talking about this foundation on Instagram as I have been testing it out on my stories and showing how it wares throughout the day. I am able to wear it for 12 hours straight and it still looks fresh. This is without any powder as I don't want to take any hydration away from the foundation. I think if powder was applied it probably would last the 24 hours it claims to. There is a good range of over 20 foundation shades however I would like to see more shades added for deeper tones. The two shades I have been using together are Oat and Cardomom, mixed together this shade works really well for me. I was also sent their Foundation Buff Brush* (£28.50) which is duo fibre and it blends the foundation so easily, you are left with a streak free finish. I like to apply my foundation with a brush rather than a beauty blender and the brush leaves such a smooth finish that I would definitely recommend it. 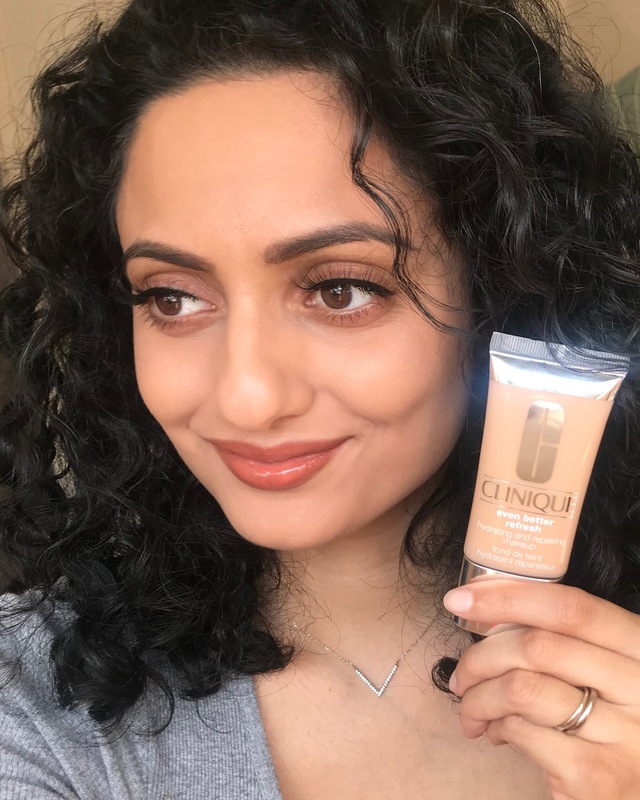 This foundation has become my go-to. When I do wear foundation whether it is for work or a special occasion I find myself always reaching for this as it gives me beautiful skin without looking like I have a lot of makeup on. I will continue to enjoy wearing it! Have you tried it yet? 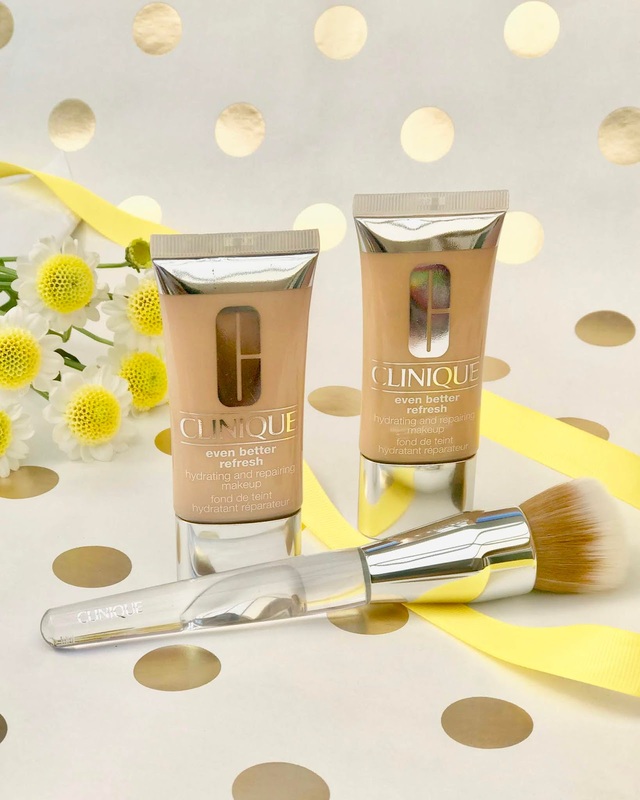 If you would like to try it Clinique are offering a free 10 day sample simply click on this link scroll down to the bottom of the page and enter your details. I hope you love it as much as I do.